Basic and advanced telephony features, such as forward, transfer, audio control centre, and distinctive ring tones, improve interpersonal communications. Context-sensitive soft key arrangement, for controlling display-based features, for improved productivity. 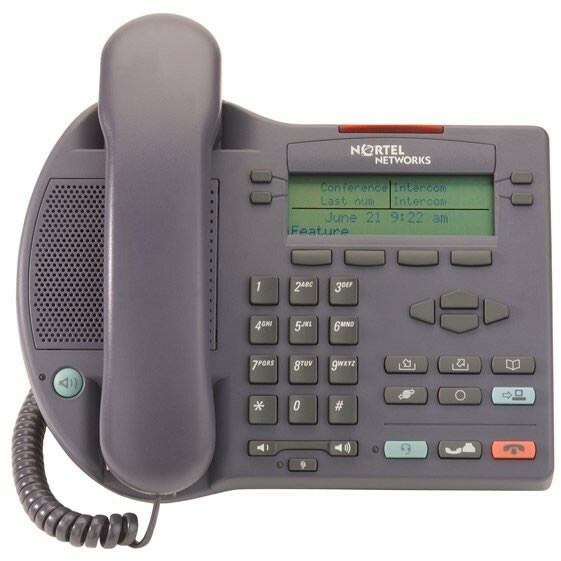 The Nortel I2002 IP Phone is a multi-line, intermediate-level, standards-based IP Phone within the IP Phone 2000 Series portfolio and supports moderate call traffic environments. With a 4 line x 24 character LCD, four-way navigation cluster, programmable line/feature keys and hands-free speakerphone, the I2002 IP Phone is ideally suited for users such as office professionals, technical specialists and administrative personnel. Full-duplex hands-free is crystal clear by incorporating a narrowband speaker in combination with acoustic echo cancellation.